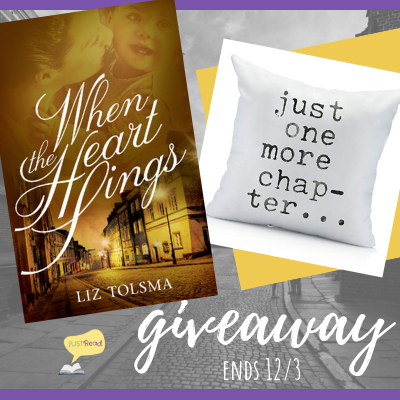 Welcome to the Blog Tour & Giveaway for When the Heart Sings by Liz Tolsma, hosted by JustRead Publicity Tours! The Nazis have forced Natia and Teodor from their Polish farm to a labor camp. When the couple is separated, Natia is chosen to be the housekeeper for the camp’s overseer, and Teodor is sent to work in the factory. Despite the strict camp rules—and the consequences for disobeying them—Natia finds a way to communicate with Teodor by sending messages through song as she passes Teodor’s dormitory. The stakes get higher when Natia finds a Jewish orphan on the overseer’s doorstep. She is determined to protect the boy and raise him as the child she and her husband were unable to bear— but if her German captors discover how much she’s hiding, both she and Teodor may pay the ultimate price. Lebensraum. Living space for the Germans, colonists who would push out and enslave the native Slavs. By all outward appearances, the Lord had forsaken them. Taken their children and their food. They had to produce more and more to stay alive. Made it impossible for him to care for his family. Now they were about to take their farm. Their livelihood. The letter from the Germans lay unopened on the cracked and faded kitchen counter. He didn’t have to read the contents to know what it said. But he couldn’t tell her. Passionate might best describe Liz Tolsma. She loves writing, research, and editing. Her passion shone through in her first novel which was a double award finalist. On any given day, you might find her pulling weeds in her perennial garden, walking her hyperactive dog, or curled up with a good book. Nothing means more to her than her family. She's married her high-school sweetheart twenty-eight years ago. Get her talking about international adoption, and you might never get her to stop. She and her husband adopted three children, including a son who is a U.S. Marine, and two daughters. Enter via the Rafflecopter giveaway below. Giveaway will begin at midnight November 26, 2018 and last through 11:59pm December 3, 2018. US only. Winners will be notified within a week of close of the giveaway and given 48 hours to respond or a new winner will be chosen. 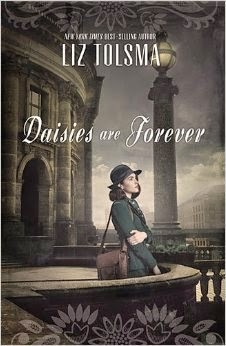 Only 99 cents for the e-book of Daisies are Forever by Liz Tolsma. This one is on my to-read list since her previous book was excellent! Their journey to Gisela's mother in Berlin is riddled with tragedy and hardship, but they strive to keep Ella's daughters safe so they can reunite with their mother. During the journey Gisela and Mitch begin to develop feelings for one another beyond friendship. They reach Berlin, but their struggles are far from over. Gisela and Mitch must learn to live for the day and find hope in the darkest of circumstances. My rating: 5 stars / it was amazing! In a time of unprecedented darkness and fear, Cornelia must decide if saving a stranger’s life is worth risking her own. 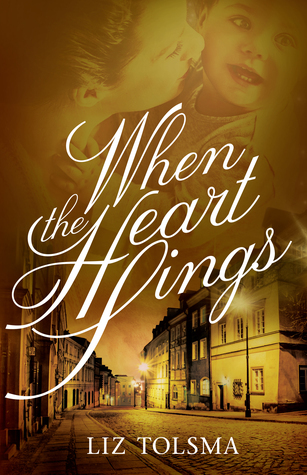 In the twilight of the Nazi occupation of The Netherlands, the Germans have taken everything Cornelia had to give, even what was most precious to her. Now Gerrit Laninga—a man who puts God and country above all else—arrives at her house, needing help. She is terrified for herself and terrified for her family, but most of all, terrified of the pain she might feel again if she allows herself to love Gerrit. Her hope is to be free from her paralyzing fear. Gerrit is a known and hunted Dutch Resistance member. When he comes to Cornelia’s home for shelter, he’s drawn to her strength and kindness. When he asks her to contact the local Resistance on his behalf, she refuses. Gerrit is determined to find a way to continue his underground work without putting Cornelia or her family in harm’s way. When things start to unravel and Gerrit’s life depends on her actions, she must summon her courage and learn to depend on the perfect love that drives out all fear. But will her new love be snatched away before it has a chance to bloom? When I read the afterword at the end of this novel and learned that some of the circumstances are based on real events from the lives of the author's ancestors, I appreciated it all the more for bringing to life the intensity of living in a Nazi-occupied country. While there is anxiety, pain, fear, loss, and grief, the author also successfully portrayed hope, familial bonds, patriotism, compassion, and love. I felt like I was on the edge of my seat, wondering what direction the story would go. The spiritual growth of the characters is inspiring. The point in the novel where I became the most emotional was when Cornelia and Gerrit sing together the hymn "We Gather Together". The words are so profound and apply to their struggles so well. I highly recommend this book, and look forward to reading the author's new release, Daisies are Forever. I'm so excited to be participating in this giveaway hosted by Jo, My Gosh! 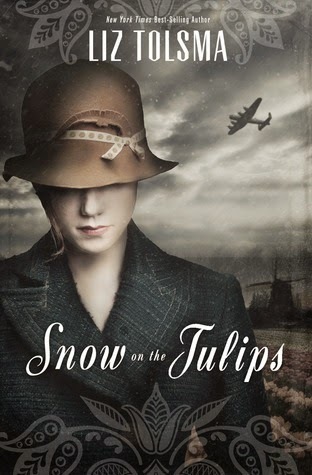 I'm giving away a new paperback copy of Snow on the Tulips by Liz Tolsma, set in the Netherlands during WW2. Month of the Telephone Call on Jo, My Gosh!